Facial Redness - BrightNewMe is a clinic based in Altrincham offering non-surgical cosmetic procedures and anti-wrinkle treatment for both men and women. Do you suffer with facial redness, especially across the cheeks and nose? If so you may have Rosacea (pronounced “row-zay-sha”). This often starts with a tendency to flush and frequently occurs in fair skinned people aged 40-60. Whilst it’s more common in women, when it occurs in a male patient it tends to be more severe. In addition to generalised redness, those with rosacea often experience a burning or stinging sensation, and the skin in the area can be particularly sensitive, especially to sunlight. Patients may describe trigger factors such as spicy food, alcohol, stress, exercise, wind, a change in temperature and some cosmetics/ face products. There may be visible fine blood vessels (“thread veins”) in the area. There is no specific diagnostic test for the condition. Whilst at present there is no cure for rosacea, its symptoms can be managed with lifestyle modifications, appropriate skin care, prescription creams and targeted thread vein treatment. In the short term, identifying and avoiding the triggers that affect you personally would be important. For detailed information regarding potential triggers I recommend you take a look at this source. 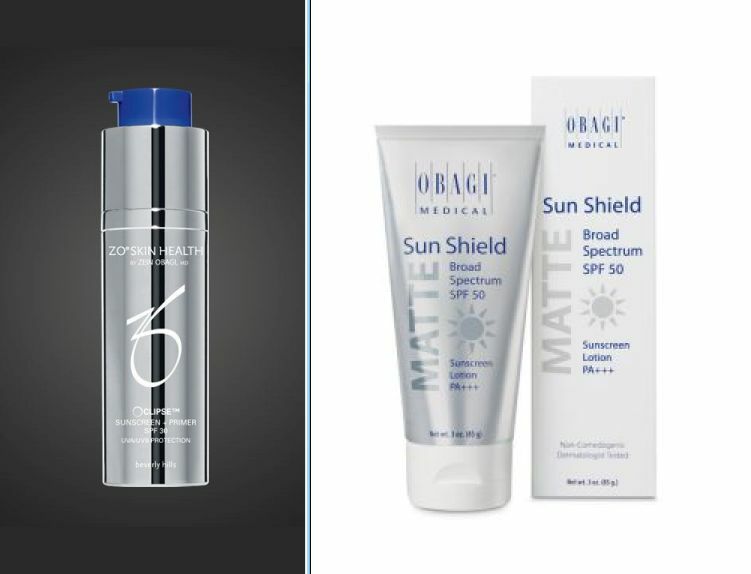 I strongly advise the daily use of a high factor, broad spectrum sunscreen – even in winter, and even when indoors (as the sun’s UVA rays penetrate glass). A thorough medical assessment would enable you to be advised regarding an appropriate treatment regime. I recommend medical grade skin care products, suitable for rosacea skin types, to cleanse, exfoliate and control oil. I also advocate using a serum to stabilise (reduce the sensitivity of) the skin and inflamed skin can benefit from a serum for redness. Your General Practitioner may prescribe one of several creams licensed for rosacea. Only in severe types, for example where there are papules, is an antibiotic necessary, in cream or tablet form. 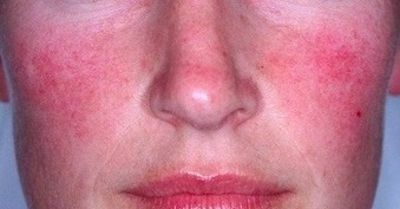 There are other treaments available on the NHS for some of the more severe sub-types of rosacea as detailed here. Thread veins themselves can be treated with a variety of methods, and at BrightNewMe we’re delighted to offer the gold standard of facial thread vein treatments, a process known as thermo-coagulation (known also as Veinwave or Thermavein). This procedure uses microwave current to instantly and safely remove thread veins, as can be seen on the short video below. Unlike with lasers and other methods of treating thread veins, there is no risk of scarring or pigmentation changes, and in many cases only one treatment session is required. In addition, at BrightNewMe we offer HydraFacial treatments (medical grade facials) which include the use of calming red and infra-red LEDs, and many of my rosacea patients find this of significant benefit. If you are interested in our services and would like to know more, simply contact us on 0161 928 2210 to arrange your free, no-obligation consultation. Alternatively, complete the contact form below, and we’ll get back to you as soon as we can.